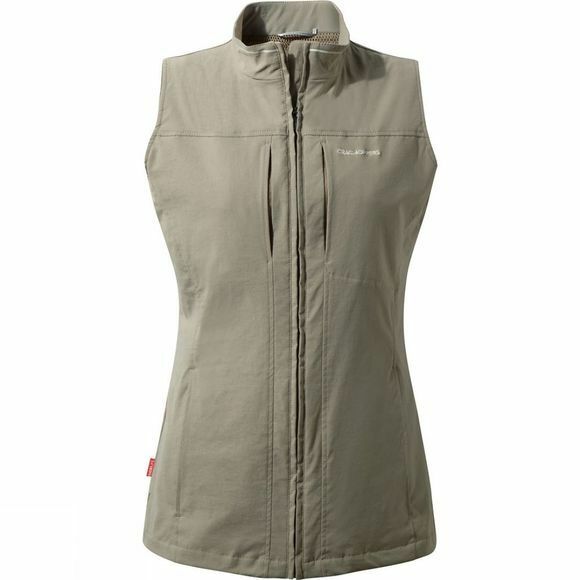 If you’re heading off on a hot–climate adventure, you’ll appreciate the versatility of this sleek insect–repellent Womens NosiLife Dainely Gilet from Craghoppers. Lightweight yet multi–function, Dainely has the capacity to hold an incredible number of travel items easily and securely. The streamlined NosiLife construction conceals a remarkable tally of 17 handy pockets – perfect for stowing your trail essentials in the most ergonomic way.